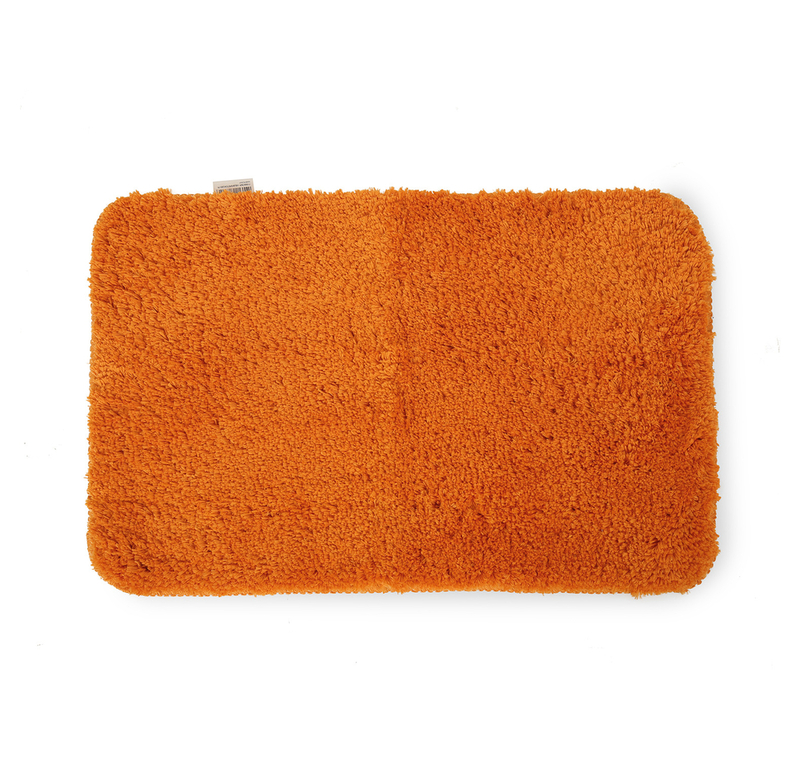 The beautifully designed fluffy orange bathmats are brought to you by Nilkamal. These bright bath mats are the definition of fun and vibrant. The colour of these bath mats will instantly blend into any background of your home. The fuzzy feel used on the bath mats is a well-loved and popular feature and will effectively soak up the water from your wet feet before you step anywhere else in the room. These bath mats are made of micro fibre. Micro fibre is a actually known as polyester in the laymen's terms. Polyester is a commonly used material for linen, and is ideal for making bath mats. The material is perfect to have fuzzy towel fabric stitched into it. The Bath mats by @home come with extremely easy washing instructions that only require washing by hand or in the washing machine. These bath mats are perfect for anyone who has a bright and vibrant room. These kind of loud and bright colours are also well known to make the entire room pop out of colour contrast. Small details like bath mats will add a great deal of dazzle to your bedrooms and your home which is why choosing the best is important. You get the best at @home, so get your colourful bathmats now!